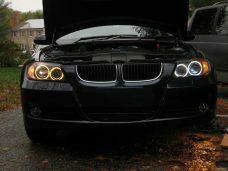 Transform the dim yellow appearance of the factory angel eyes to a bright white light that helps your BMW stand out from the crowd. 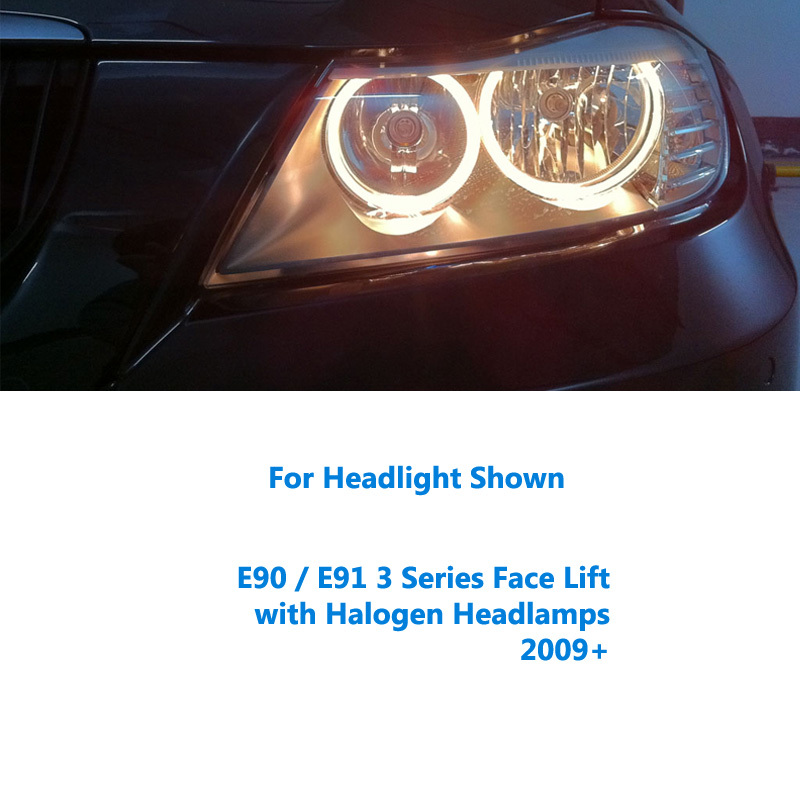 Fits BMW 3 Series Face Lift with Halogen Headlamps only 2009-2011. 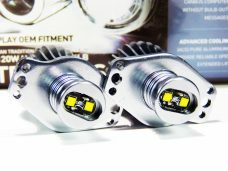 Ultimate performance using advanced CREE LED chipsets. 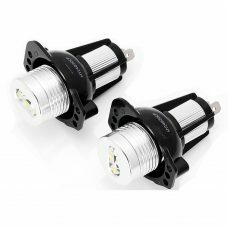 20W Total Per Lamp. Basic installation tools included. At GENSSI we believe in advanced design using the highest quality materials and components. 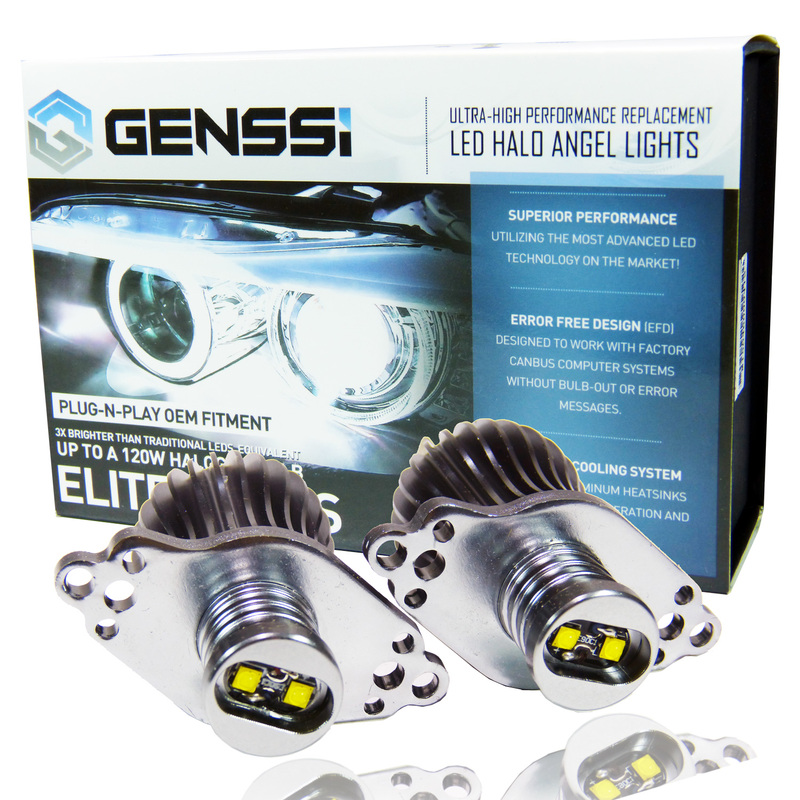 Our GENSSI Elite series are designed for those who want the best in lighting technology. 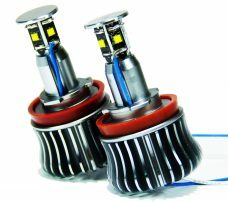 The ultimate LED halo replacement bulb for your BMW. 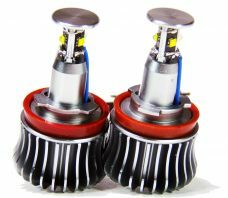 They transformed the dim yellow appearance of the factory angel eyes to a bright white light that helps your BMW stand out from the crowd. 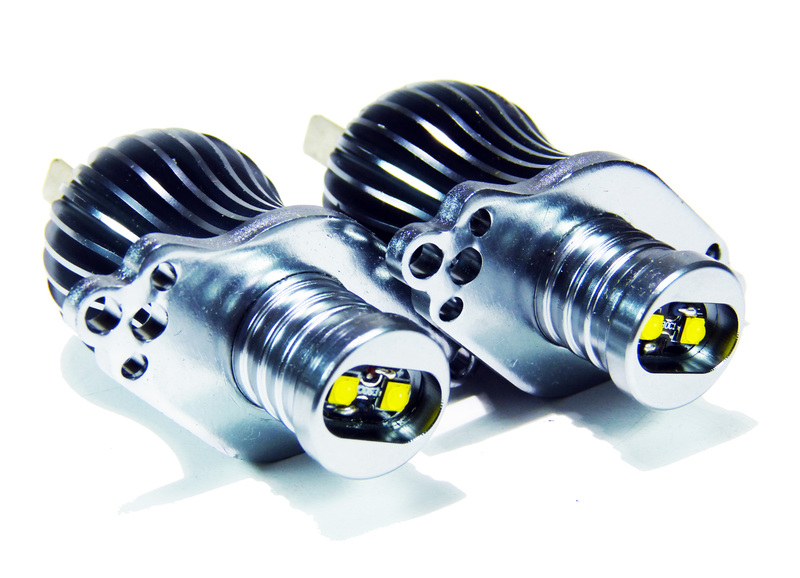 These bulbs use the latest in CREE lighting technology, (ACS) pure aluminum heatsinks with Error Free Design (EDF). GENSSI Elite products are designed for maximum brightness and durability, unmatched in the industry. 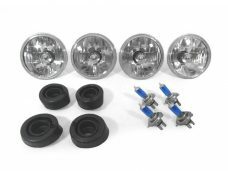 We know you want the best for your vehicle! This is the best! At GENSSI we believe in advanced design using the highest quality materials and components. 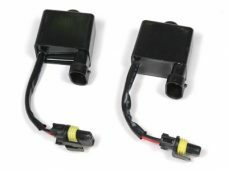 Our GENSSI Elite series are designed for those who want the best in lighting technology. If you don’t feel our product is one of the best on the market, we will gladly take it back for refund within 60 days! 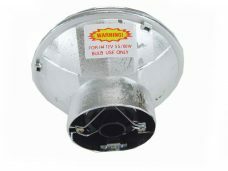 Many sellers claim their lights are brighter by using more LEDs and claiming high wattages. 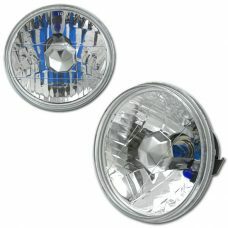 More LEDs do not mean a brighter light. 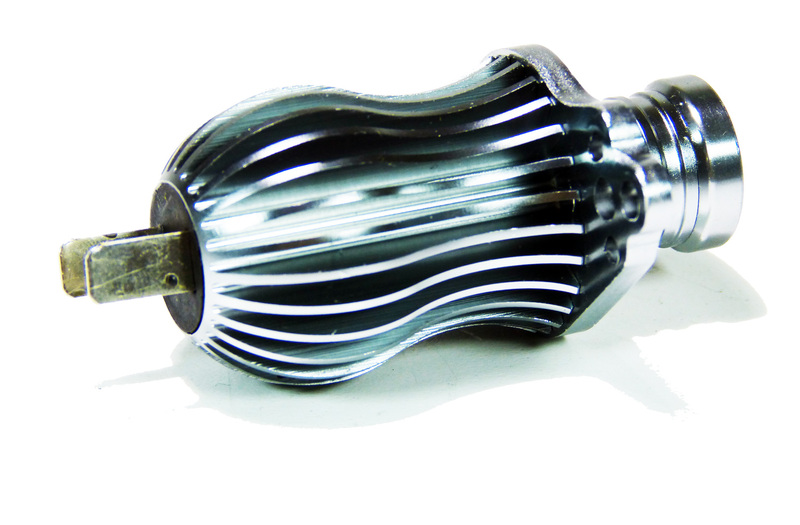 It all comes down to the design of the light and the type of emitter used. 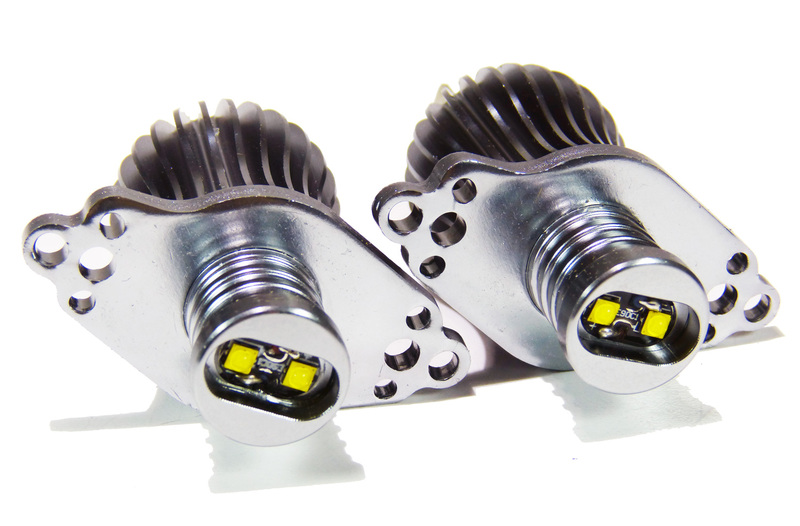 We use only the highest quality CREE emitters that are optically designed for durability and maximum brightness. 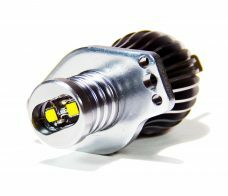 Many companies directly from China will use low quality components, generic LED chips (even if they do claim it is CREE) simply to get your business. These lights not only end up being more dim, but also very unreliable.